UNLESS YOU’RE AN ENGLISH WIMP LIKE ME!!!!! Regardless of my complete failure to tolerate the summer, I wanted to send you a quick post letting you know that I just completed my first painting tutorial! Exactly! GOSH, DARN IT. Why Not, Indeed!! 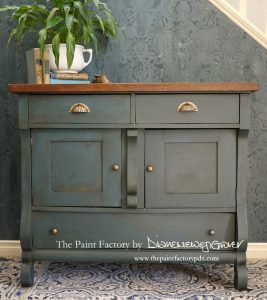 This is the piece, a lovely (if not slightly rickety) Empire-style cabinet. Great bones. 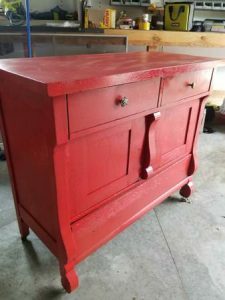 The previous owners had spray painted – SPRAY PAINTED – it red!!! I know not why. And I try not to judge, really – I do. And now the tutorial is available for purchase! I have it listed on my Etsy site, here’s the link! 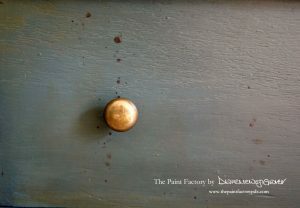 The tutorial will show you how I refinish a piece of furniture: From start to finish! 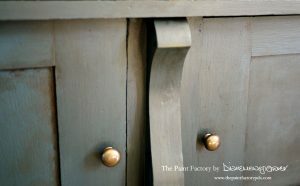 I talk about blending paint colors, and using General Finishes glazes (which I love). My paint of choice on this project has been Pure & Original in Steel Blue and a custom green that the company blended for me. 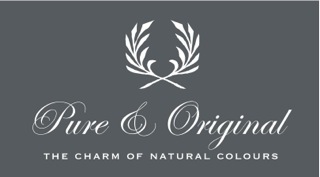 Pure & Original have agreed to custom blend the gorgeous green for any of my followers (So flipping exciting!!). The video is just over one hour in length, and can be viewed on my private Youtube channel, once you’ve made the purchase on Etsy! 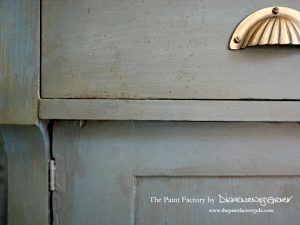 So, if you have a piece of furniture with great bones but lousy finish, this tutorial may be what you’re looking for!! Big difference, right! 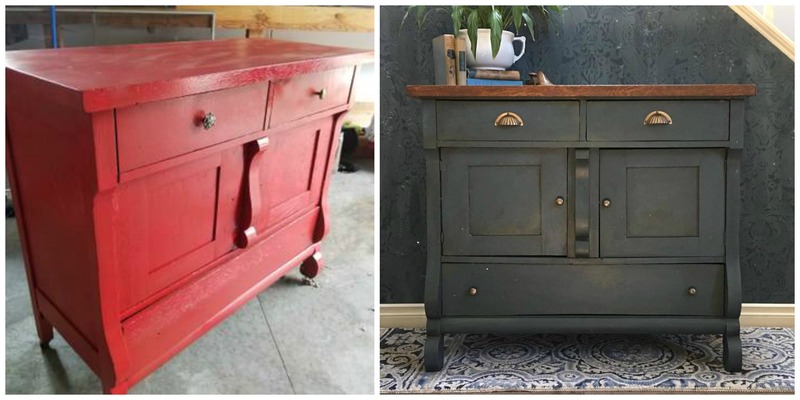 Just a bit of paint, and a little know-how! Hope you get the chance to check the tutorial out!